Springbank 25 year old marks a celebration of true Victorian whisky production at Scotland's most traditional distillery. Long established production techniques, together with the knowledge and experience of our craftsmen, are used to malt barley on traditional malting floors and distil this most handcrafted of spirits. 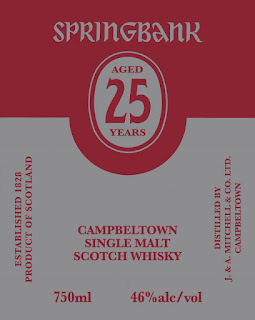 It is then filled into high calibre oak casks and matured in our warehouses in Campbeltown.